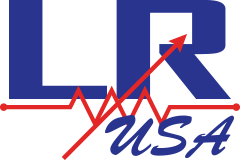 OUR LIQUID RHEOSTATS ARE MADE IN THE USA! We are proud to be one of the only manufacturers of electrolytic starters in the US, and have various designs based on the fluid volume and concentration needed to efficiently control the torque capacity required by your system. The system consists of three electrodes submerged in electrolytic solution, which is processed through a heat exchanger to ensure maximum heat dissipation. Electrode height displacement determines the resistive torque capacity. Height is regulated by a drive shaft, driven by a DC motor. The system is controlled locally or remotely by a PLC. Programming is customized for quick alarm and trip response due to rapid temperature increase, current spikes, or any other anomalies during operation. The user-friendly nature of our systems ensures smooth and efficient operation. All Plus Edition liquid rheostats include a stainless-steel tank. The low-conducting stainless steel tanks eliminate the potential for electrical arcing and are corrosion resistant, providing more reliability and increased longevity and durability for demanding applications.